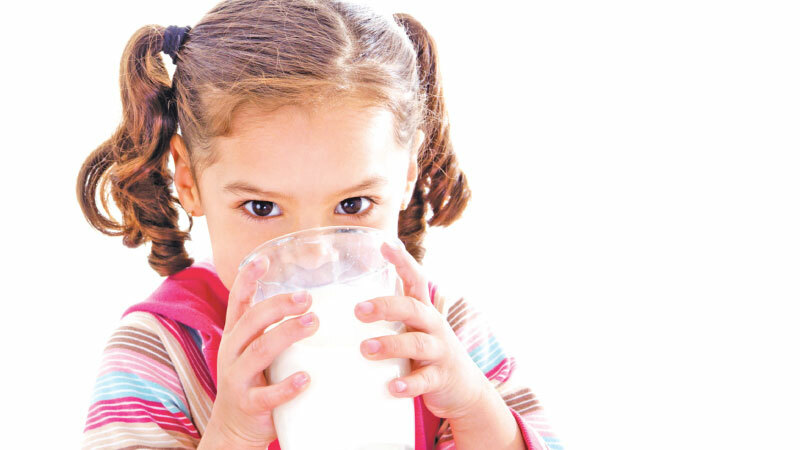 Milk and milk products have always been an integral part of our consumption habits. The dairy industry is one of the most prominent industries experiencing no dips in sales, as consuming tea with milk is an essential part of Sri Lankans’ daily routine. Owing to this, Sri Lanka stands in the fourth position in the world in terms of importing powdered milk from New Zealand. The industry includes government and private sector companies (both local and multinational), collectively providing powdered and fresh milk. Yet the multinationals reign in the industry. According to the data of the Animal Production and Health Department, the cattle and buffalo populations in the country in 2017 were recorded as one million and 0.3 million respectively. Total milk production in the country was 483 million litres in 2017. Dairy production in the country has recorded positive growth during the last decade, especially after 2008. This growth was supported by various initiatives, such as upgrading the chilling centre facilities of large, medium and small milk collectors, increased contribution from the Northern and Eastern Provinces, the provision of financial assistance, the stabilisation of remunerative farm-gate prices, the provision of high-yielding cows, the promotion of liquid milk consumption by the government, and the diversification of income-generation avenues of the people. Similarly, formal milk collection in the country has shown an increasing trend. It has shown significant progress during 2012 – 2014, with the increased demand for local milk. The quantity of milk collected by the 13 main milk processors in the formal milk market in 2017 was 283.11 million litres. However, the percentage share of formal milk collection to the estimated production was nearly 65 percent. It indicates the potential for further expansion of the milk collecting network. Despite the rapid growth in milk production, milk collection has not expanded on par with the production. 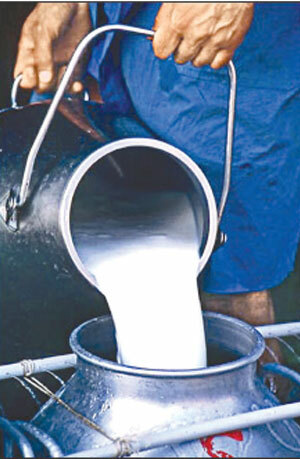 The milk production at the National Livestock Development Board (NLDB) was 11 million litres, while it is 62 million litres by MILCO (Pvt) Ltd. This increase in milk collection by MILCO was supported by the modernisation of the Polonnaruwa, Digana and Ambewela factories. The average farm-gate price per litre of milk was Rs. 66.34 in 2017 and the average cost of production of a litre of milk was recorded as Rs. 34.69 under intensive management systems. Farmers receive a guaranteed price of Rs. 70 per litre from 2017. The contribution of domestic milk production to the total milk requirement was 42 percent. 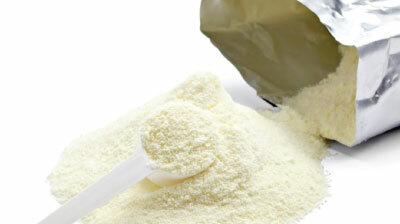 The deficit is met by imports, mostly in the form of powdered milk, which costs an average of Rs. 33.6 billion. A total quantity of 94,000 MT of powdered milk was imported in 2016. Considering the quantity of imports over the last 15 years, there are ups and downs in importation which indicate the unsteady nature of milk imports and its association with underlying factors such as world market prices, tax structure and local demand. 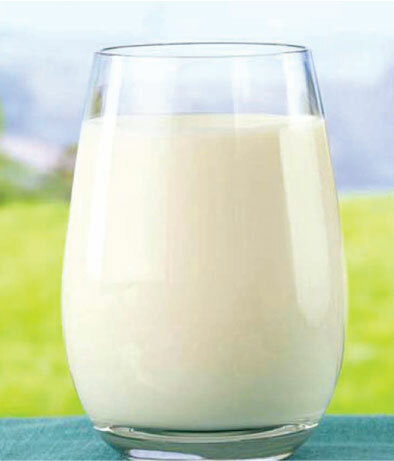 Although fresh milk is considered the most popular beverage across the world, the level of milk consumption in Sri Lanka is considerably low with per capita consumption of fresh and powdered milk at 110.33 ml per month and 341.36 g per month respectively. According to the average monthly household expenditure of all food items, the expenditure for dairy products is 9.4 percent. Following the detection of dicyandiamide (DCD) in imported milk powder in 2013, consumers are more cautious when purchasing imported milk products for consumption. Information on consumers’ buying behaviour and their preference are considered to be the key determinant factors for the development of the dairy sector. Also, accurate analysis and good estimates of buying behaviour and preference for dairy products help projection of the future development of the dairy sector in Sri Lanka. For filling this knowledge gap, the Hector Kobbekaduwa Agrarian Research and Training Institute (HARTI) has conducted a survey to understand consumer preference for milk and milk powder and trends in consumption and their impact on determining dairy production and marketing opportunities. The study was conducted in the Colombo, Kandy and Matara districts, which represented the highest household expenditure on milk and dairy products, with a sample of 400 households in 2016. According to the consumer survey, their preference is high for fresh milk and local milk powder which emphasises that the poor availability and accessibility of safe and high-quality local fresh milk and locally-processed milk-based products have compelled consumers to purchase more imported powdered milk and milk-based products. There is a high degree of willingness to buy or switch to local products when these constraints are addressed. Hence, there is a good opportunity for the development of the production and marketing system of milk in the country, while minimising dependency on imported products. The dairy sector underwent a turbulent period in 2013, after the detection of DCD in imported milk powder. This had a significant impact on consumer buying behaviour, their attitudes, needs and demand for dairy products. During that period, the most of the households had changed their consumption from imported to local milk powder, while the others had changed from one brand to another in the imported category, due to lack of awareness of the origin of such brands, as they assumed those to be local brands. This was observed only during that particular period and consumers switched to imported brands after declaration of the safety of imported brands. Lack of availability of local milk powder and fresh milk in the vicinity is the main problem. Most consumers in urban and rural areas used to purchase milk powder from nearby grocery shops and local milk powder is not available in all the shops, as most of the shops sell imported milk powder brands as they receive higher commissions for them. Access to liquid milk and fresh milk is also low in the nearby shops though they are widely available in supermarkets. The high price of liquid milk products. Though the majority of the consumers prefer liquid milk products, high cost is a constraint. Lack of quality standards for available local milk powder, liquid milk and flavoured milk. Lack of hygiene and safety assurance for cow’s milk. Reliability of the safety of imported milk powder. Increase availability: Strengthening of milk-processing capacities of large and small-scale milk-processing plants. Increase accessibility: Establishing milk distribution networks with sales outlets, setting up milk parlours, expanding retail selling, distribution by mobile vehicles to the doorstep and ensuring high availability in the locality are vital steps. Increase quality and safety: It is necessary to impose and regulate standards for the milk market. Assurance of quality and safety of locally available milk powder and liquid milk is also important, because the different brands show much variation in terms of quality (taste, thickness and texture). The sugar content of the available brands of the flavoured milk products is also high. Therefore, it is vital to improve the production of local milk powder and flavoured milk according to consumer preferences. A periodical testing system to maintain or upgrade the quality and safety of local products is also needed. Strengthening the monitoring system for quality and safety: It is important to have continuous testing of imported brands for safety. Conducting promotional campaigns for locally-produced milk and milk products. A special media campaign could be launched to promote the culture of drinking fresh milk, promote domestically-produced dairy products and change ill-formed food habits. Also, a special promotional campaigns to encourage schoolchildren to drink milk. Furthermore, fresh milk consumption can be increased by reducing the price while increasing the quality. The market can also promote the consumption of fresh milk in Sri Lanka to a greater extent. At present, the issue of the mixture of lactose powder, palm oil and animal fat in imported milk powder has arisen in the country and the demand for local milk products has increased. However, the domestic milk production is only sufficient to meet 42 percent of the requirement, at present. In order to address this issue, there should be a long-term strategic plan to increase milk production in the country with the involvement of the government, private sector and relevant institutions in the country.